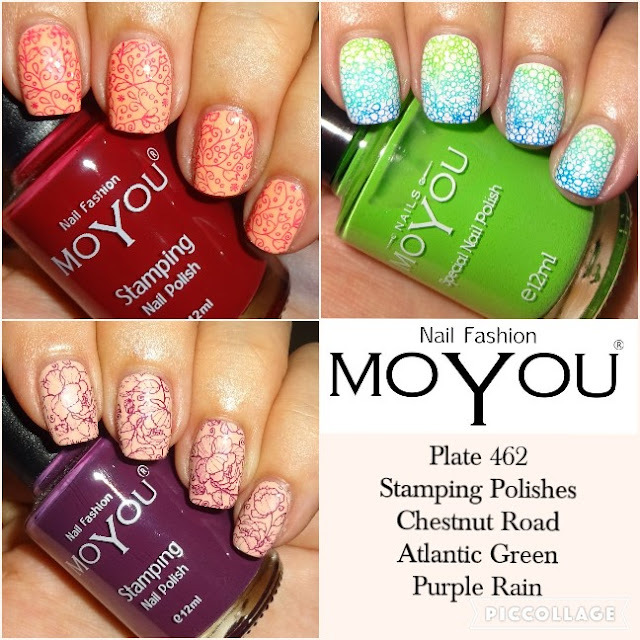 Here's 3 of my manis using MoYou Nails plate 462 from the Vintage Style collection together with an assortment of MoYou Nail Stamping polishes. The square plate contains 9 intricate patterns. 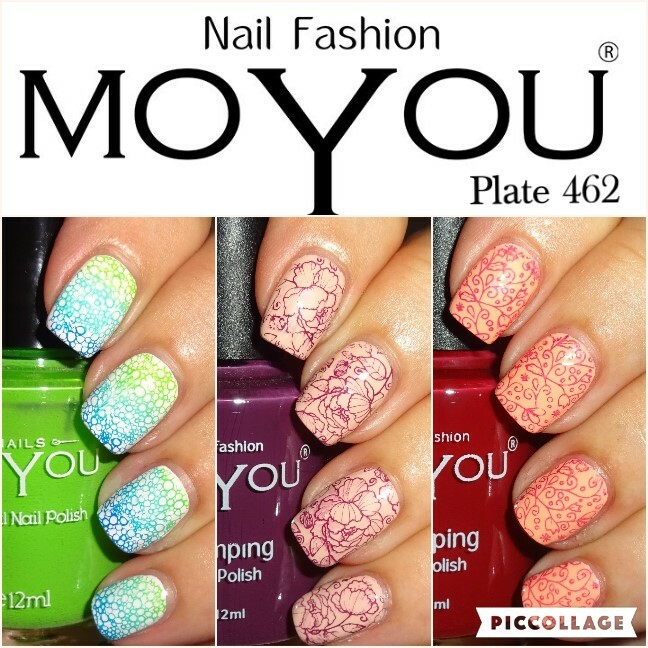 MoYou Nails square plates are £4.99 and stamping polishes are £6.99 each.